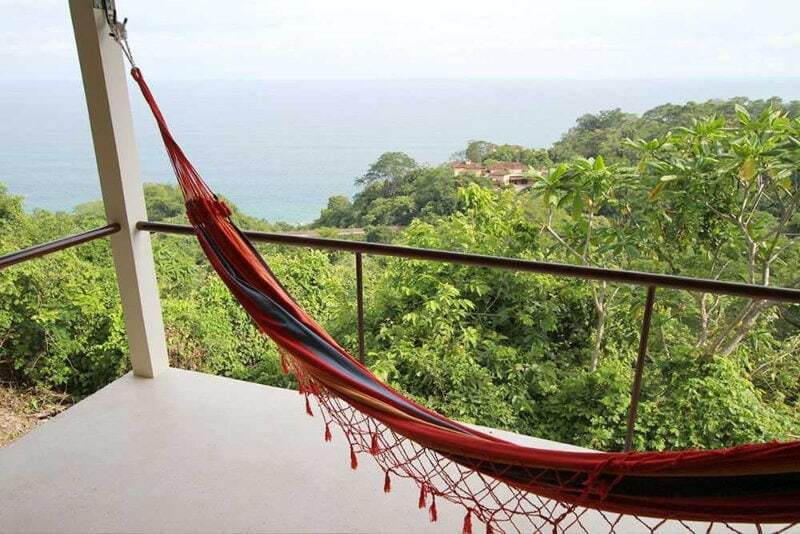 Description: We named this cabina for the monkeys we frequently see in the canopy in front of it. 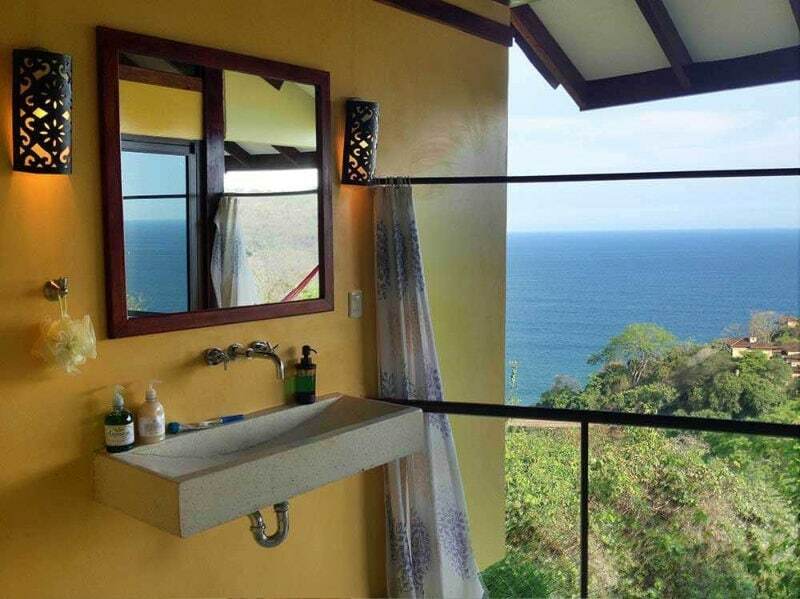 The Hanuman has a beautiful view of the ocean, and an open-air designer bathroom. One of the beds is built into a very unique niche, very queen-like. 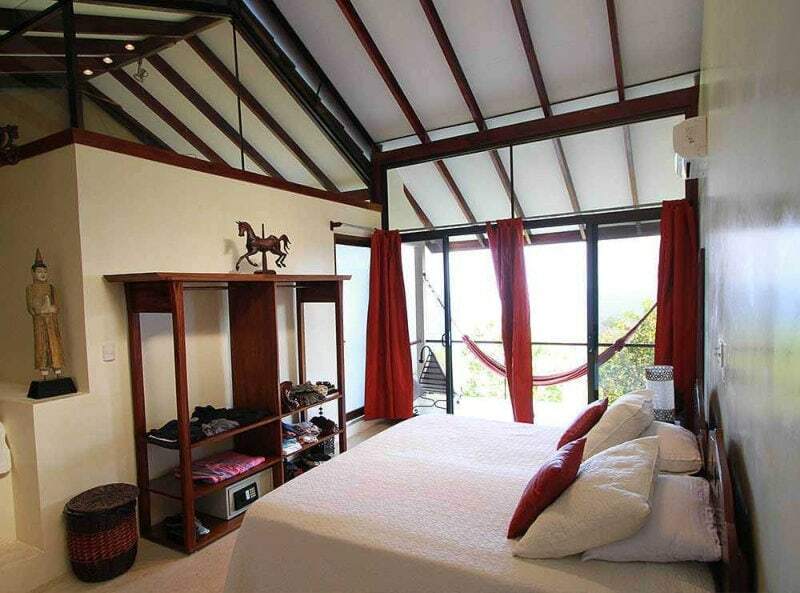 This cabina is ideal for two people, each with her/his own luxurious bed, but also works for 3-4 friends or a family. 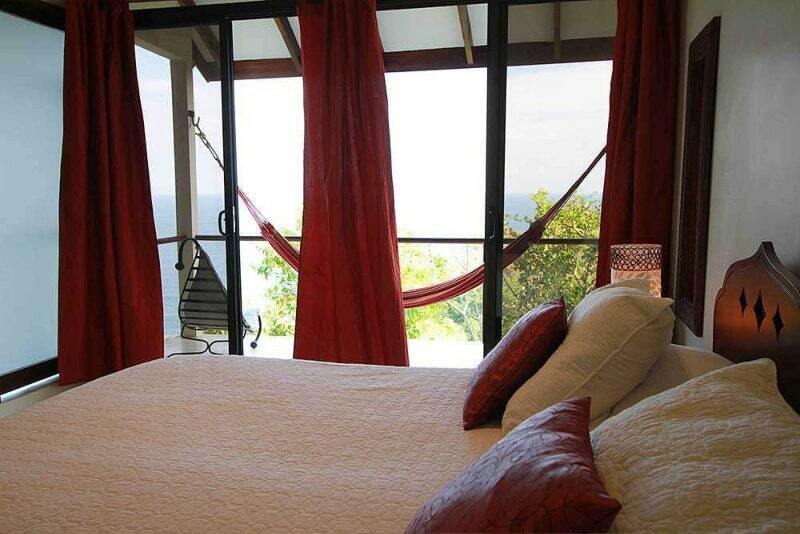 Not shown here is the king-sized bed (or convert to two singles) which would be on the right, where our guests enjoy epic views. 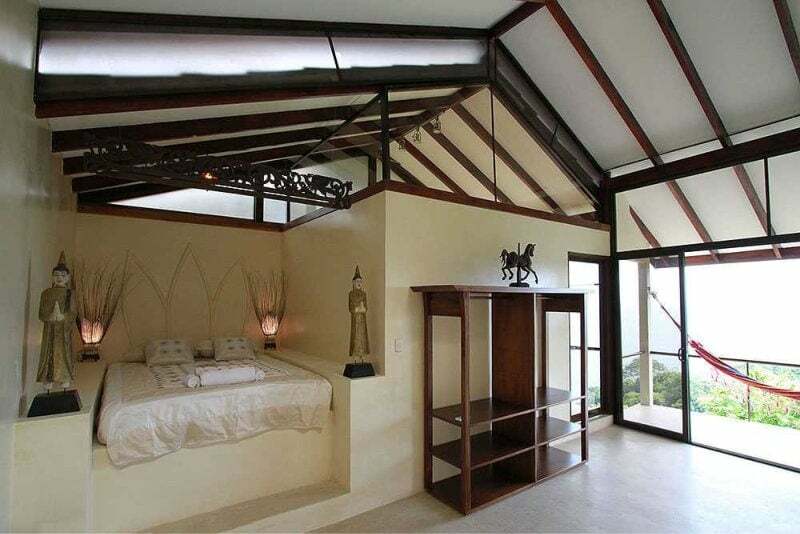 There’s no view from the Queen bed that’s built into the alcove, but many guests love it because it’s so unique. 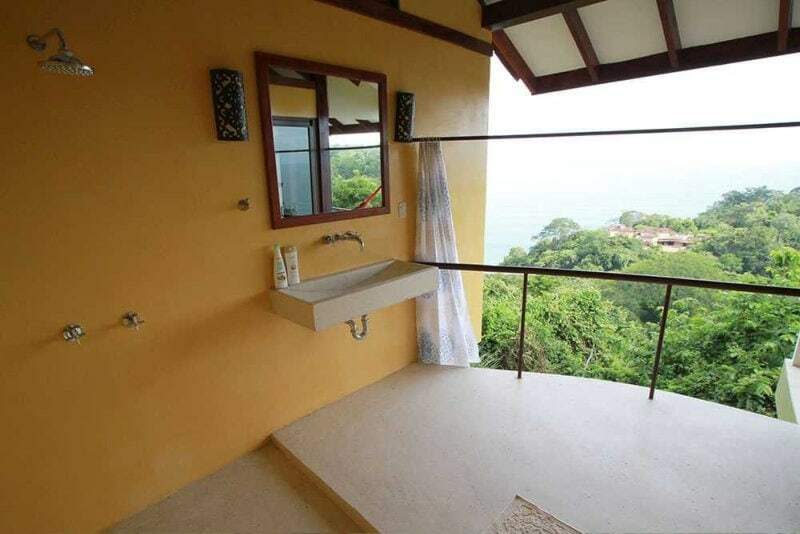 A beautifully designed bathroom with a view of the ocean while taking a shower. 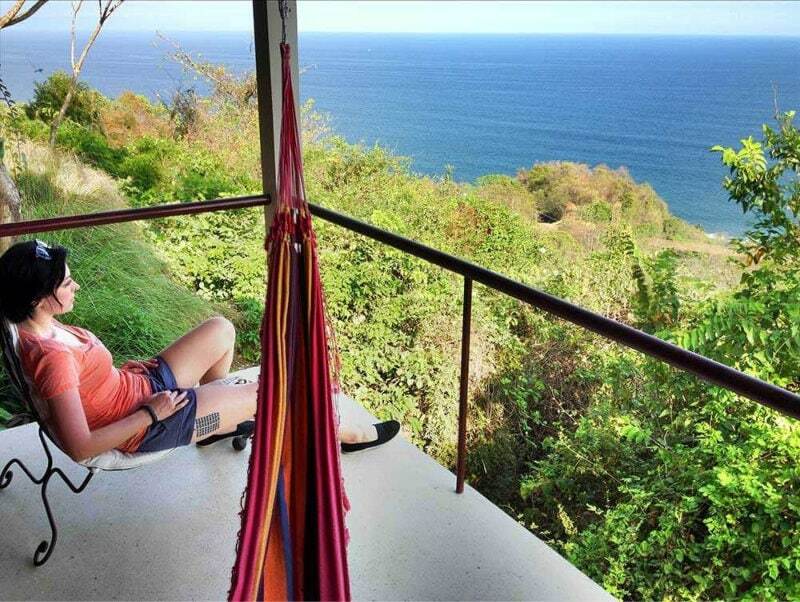 The Hanuman’s ocean view terrace has a hammock for relaxing and reading.